Your ultimate travel necessity! Compact Fold Design For On-The-Go Beautiful Hair. Push button on the back to open for superior detangling. IntelliFlex® bristles are protected when closed.The IntelliFlex® Difference For Healthier, More Beautiful Hair. 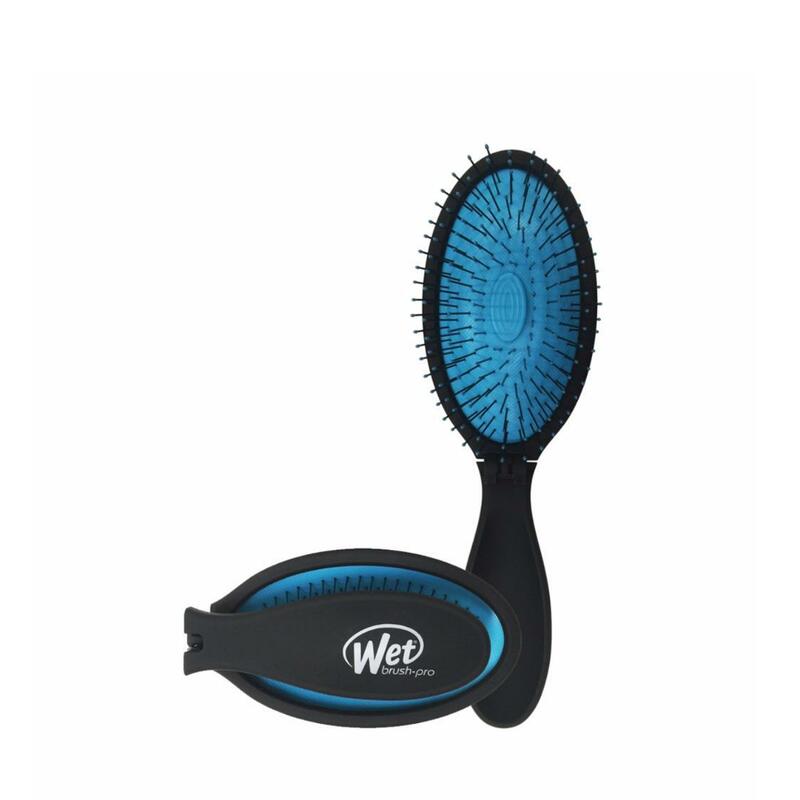 Brush out tangles easily, with no pulling, tugging or pain. Thin and strong yet flexible, our IntelliFlex® bristles glide through hair effortlessly gently detangling hair. Our exclusive ultra-soft polytips, SofTips™ help to protect the hair and are ideal for sensitive scalps. The result: healthier hair with no tangles, no split ends and less breakage.